I confess I have not had time to post much over the past year, but I wanted to have a link of some of the best that I consider that James Swan has put together in the apologetic issues of Roman Catholic claims against Luther. Luther Added the word "alone" to Romans 3:28 ? This quote appears to have been posted by someone with sympathies to the Mormon church (see my previous entry for documentation and details). This LDS detractor stated, "...if you wanna talk about Luther, the founder of the Reformation, he certainly believed that demons were responsible for all kinds of stuff that most today would call wacky superstition." This wasn't an isolated usage. There are a number of web-pages using this quote, often posting it without any commentary, I assume, simply for its "shock" value. 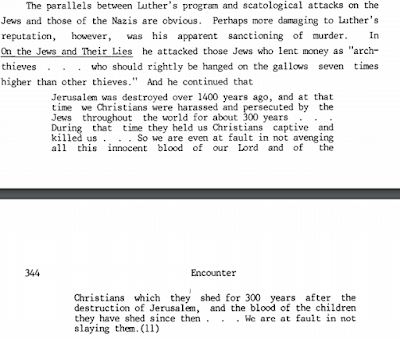 There are though some rather curious occurrences, For instance, the author of this odd PDF entitled, "Luther, The Deranged Theologian" uses the quote (and a number of other quotes) to show it's, "quite obvious that we are not looking at a rational man." In an article on linking Satan and flies, former fundamentalist Edward Babinski cites the quote as proof Luther believed Satan uses and possess animals. Let's take a look at this quote and see what's going on. Frankly, if the quote is legitimate, I'm not sure why the quote would shock anybody. Witches (and their powers) were a common belief of people in The 16th Century. There are a few different English versions of the quote. 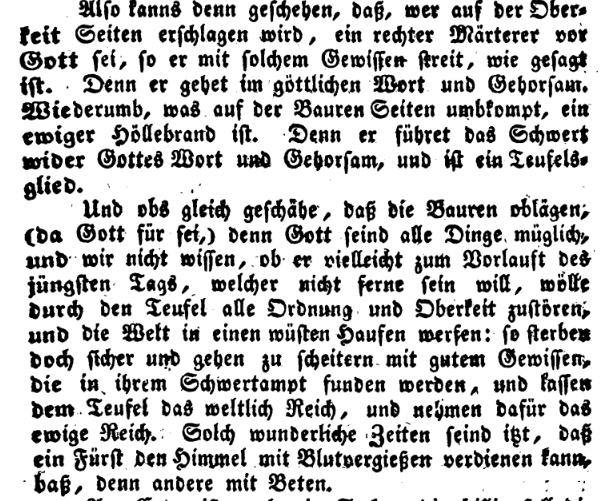 "When I was a child there were many witches, and they bewitched both cattle and men, especially children," appears to be a variant of something at least as old as 1856: "When I was a child there were many witches, who bewitched both cattle and men, especially children." 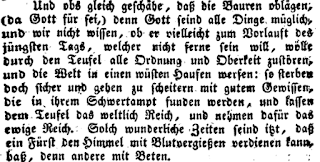 I suspect this is a variant of a version at least as old as 1801: "When I was a child there were many witches and sorcerers, who bewitched both cattle and men, but especially children, and did great harm also otherwise." There's actually two different texts going on here. The basis of the English quote is the Latin text reading, "Frequens fuit vitium his nostris temporibus ante revelatum Euangelium. Me puero multae erant Veneficae, quae pecora et homines, praecipue pueros, incantabant. Item nocebant segetibus per tempestates et grandines, quas suis Veneficiis excitabant." Then, there is a Latin / German mixed text. In English, the quote can be found in Luther's comments on Galatians 5 ( LW 27:89). LW 27 translates it as, "When I was a boy, there were many witches who cast spells upon cattle and upon people, especially children. They also damaged the crops through storms and hail, which they caused by their sorcery." 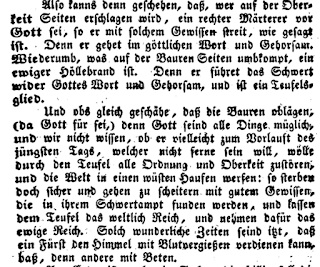 There are older English versions available online, full view (1801, 1860). The context below uses an English version from 1860. Of witchcraft I have spoken before, in the third chapter. This vice was very common in these our days, before the light and truth of the gospel was revealed. When I was a child, there were many witches and sorcerers, which bewitched both cattle and men, but specially children, and did great harm also otherwise; but now, in the light of the gospel, these things be not so commonly heard of, for the gospel thrusteth the devil out of his seat, with all his illusions. But now he bewitcheth men much more horribly, namely, with spiritual sorcery and witchcraft. The reason Paul calls the Galatians foolish and bewitched is that he compares them to children, to whom witchcraft does a great deal of harm. It is as though he were saying: “What is happening to you is precisely what happens to children, whom witches, sorceresses, and hags usually charm quickly and easily with their bewitchment, a trick of Satan.” Paul does not deny that witchcraft exists and is possible; for later on, in the fifth chapter (v. 20), he also lists “sorcery,” which is the same as witchcraft, among the works of the flesh. Thereby he proves that witchcraft and sorcery exist and are possible. For it is undeniable that the devil lives, yes, rules, in all the world. Therefore witchcraft and sorcery are works of the devil, by which he not only injures people but sometimes, with God’s permission, destroys them. But we are all subject to the devil, both according to our bodies and according to our material possessions. We are guests in the world, of which he is the ruler (John 16:11) and the god (2 Cor. 4:4). Therefore the bread we eat, the drinks we drink, the clothes we wear—in fact, the air and everything we live on in the flesh—are under his reign. Through his witches, therefore, he is able to do harm to children, to give them heart trouble, to blind them, to steal them, or even to remove a child completely and put himself into the cradle in place of the stolen child. I have heard that in Saxony there was such a boy. He was suckled by five women and still could not be satisfied. There are many similar instances. It's true, the world Luther lived in believed in things that many today would call "wacky superstition." Yes, Luther believed in witches and sorcerers, and believed they had supernatural powers; that was what people believed in the sixteenth century, so why anyone would find this aspect of Luther shocking or disturbing indicates historical anachronism and bias at best, and stupidity at worst. I find it ironic that there are people today who claim to be witches and to have the ability to redirect energy or cast hexes. The power Luther attributed to witches certainly was over-the-top, rationally explained as being the product of myth and hearsay. But on a fundamental level, that he believed in the existence of witches and witchcraft is not much different than many modern people in the world today. 6 Beautiful Quotes on Mary You Won’t Believe Are From Martin Luther? 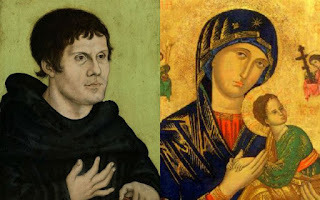 In a recent discussion, I was provided with a link to "6 Beautiful Quotes on Mary You Won’t Believe Are From Martin Luther, given to demonstrate Luther "had a strong devotion to Mary and her intercessory role." The link is to a hip-looking Roman Catholic website, Church POP. The web-article was composed by "ChurchPOP Editor," which could be either one of two people (or perhaps someone else?) listed here. Given the polemics against the Reformation from Rome's defenders, it's peculiar to find one contending something Luther said was "beautiful"! Aren't Rome's apologists typically critical of Luther? Not so when it comes to the topic of Mary; negative sentiment towards Luther shifts considerably. Luther becomes the staunch supporter of Mary; the potentate all contemporary Protestants should learn a great lesson in Mariology from. This drastic shift is puzzling, particularly since Luther’s abandoning of the intercession of the saints and his doctrine of justification significantly changes his Marian approach. Let's work through this link, and see if it proves Luther's "strong devotion" to Mary and her "intercessory role." Yes, there are quotes about Mary from Luther peppered throughout his writings that may "surprise" a reader. I suspect the quotes would be most surprising to someone ignorant of church history, particularly those unaware of the ebb and flow of trends and traditions, both within Roman Catholicism and Protestantism. It's true that the early Reformers, particularly Luther, made comments about Mary that current Protestants would not make. But similarly, there are comments made by Protestants today that would probably surprise Luther. This isn't, to use the cliché, rocket science. The Marian climate of Luther's proto-Protestant world is not the Marian climate of the current theological landscape. When Luther broke with Rome, he was, in some regard, a transitional figure. To steal a concept from Alister McGrath: the Reformers demonstrated both continuity and discontinuity with the period which immediately preceded it. It shouldn't be at all surprising then to discover elements of Luther's Mariology that echoed the medieval theological worldview. Contrarily, it should also not be surprising to discover there were elements of Luther's understanding of Mary that broke with the medieval theological worldview. “She became the Mother of God, in which work so many and such great good things are bestowed on her as pass man’s understanding. For on this there follows all honor, all blessedness, and her unique place in the whole of mankind, among which she has no equal, namely, that she had a child by the Father in heaven, and such a Child…. The source provided is to a section of Wikipedia's article, Luther's Marian Theology. The reference given is "Luther's Works, 21:326, cf. 21:346." LW 21:326 is partially accurate. The first paragraph and the first sentence of the second paragraph are from LW 21:326. The rest of the second paragraph, while technically from the same page, is actually an English translation taken from William Cole’s article “Was Luther a Devotee of Mary?” (Marian Studies Volume XXI, 1970), p.131. Someone appears to have morphed the two English translations together. Why? Well, that's how Rome's defenders do things. "cf. 21:346" seems superfluous. The only relevant aspect on the page is the phrase "Mother of God," which appears a few times. The “great things” are nothing less than that she became the Mother of God, in which work so many and such great good things are bestowed on her as pass man’s understanding. For on this there follows all honor, all blessedness, and her unique place in the whole of mankind, among which she has no equal, namely, that she had a child by the Father in heaven, and such a Child. She herself is unable to find a name for this work, it is too exceedingly great; all she can do is break out in the fervent cry: “They are great things,” impossible to describe or define. Hence men have crowded all her glory into a single word, calling her the Mother of God. No one can say anything greater of her or to her, though he had as many tongues as there are leaves on the trees, or grass in the fields, or stars in the sky, or sand by the sea. It needs to be pondered in the heart what it means to be the Mother of God. Contemporary Protestants distance themselves from the title, “Mother of God,” and perhaps for good reason. The term has evolved in its usage. What was once a rich theological term expressing a doctrinal truth about Christ developed into a venerating praise of Mary. Throughout his career, one finds Luther expressing the rich Christ-centered usage of Theotokos when discussing the incarnation. Luther was to call her “Mother of God, exalted above all mortals” (LW 21:308) because she was given the great gift of being mother to the Messiah; that is the sense in which Mary is honored. Luther is not honoring her or "devoting" himself to her because of some intrinsic quality she had. In fact, the very next sentence of the quote states, "Mary also freely ascribes all to God's grace, not her merit." He refers to those "scribblers" who make "much ado about her worthiness," "for never in all her life did she think to become the Mother of God." Mary had a specific unique role in history, an honorable role. Luther was absolutely correct to direct his readers to "ponder" the incarnation. Does the quote prove Luther's "strong devotion" to Mary? Hardly. The quote proves Luther's strong devotion and awe of the incarnation and the role Mary played in this divine miracle. It's true that earlier in his life Luther appears to acknowledge the immaculate conception of Mary. However, such acknowledgement cannot be meaningfully supported in his later writings. For more on Luther's view of Mary's immaculate conception see, Luther: the infusion of Mary's soul was effected without original sin, and also this link, which goes into greater detail of the quote Wikipedia and Church POP used. In the first quote, in context, Luther is defending the true humanity of Jesus, and mentions, merely in passing, that Mary remained a virgin after the birth of Christ. There is no exposition on why he believed this. In the second quote, whoever put it together used severe editing, leaving out multiple sentences (see my entry here). What Rome's defenders typically won't tell you is that despite accepting Mary's perpetual virginity, he didn't do it to show "strong devotion" to Mary. In fact, he called those fixated on her virginity "stupid idolaters" who "practically make a false deity of her" by extolling her perpetual virginity (LW 45:205-206). In Luther's thinking, he accepted the argument that "brothers" means "cousins," and that Scripture doesn't say if Mary had other children after the birth of Christ. Luther simply assumes the perpetual virginity of Mary. Why? This is a demonstration of what was mentioned previously: the continuity Luther had with inherited theological tradition and the zeitgeist of his day. The source given is to another link entitled, Martin Luther (founder of the reform), speaks on Mary. This link is the result of years of cut-and-pastes of poorly documented Luther quotes that flooded the Internet years ago. This web-page documents the quote, "Sermon, September 1, 1522." This date is wrong, the sermon is from September 8, 1522. In context, Luther's point is that whatever respect Mary was due to her, the church of his day had collectively had gone far beyond it. "The veneration of Mary is inscribed in the very depths of the human heart" is not a positive statement, but a negative statement. This sentence placed back in its context is in regard to excessive Marian devotion, a devotion so rooted in the human heart that "no one wants to hear any opposition to this celebration" of the feast of Mary's birth. Luther goes on to wish this festival day in regard to Mary should be forgotten, "For there is nothing in the Scriptures about it [Mary's birth]." For a complete examination of this quote, see my link here. This source given is also to the second, Martin Luther (founder of the reform), speaks on Mary. The documentation provided is "Sermon, Christmas, 1529." The date for the sermon is actually 1522, not 1529. The contexts can be found in LW 52:15-16 and LW 75:216. In those context there's nothing shocking or focused on Mary. Luther's point is that "Christ is born for you and his birth is yours." His birth is given to his people spiritually: "In this manner Christ takes to himself our birth and absorbs it in his birth; he presents us with his birth so that we become pure and new in it, as if it were our own, so that every Christian might rejoice in this birth of Christ and glory in it no less than if he, too, like Christ, had been born bodily of Mary" (LW 52: 15). "This is the great joy, of which the angel speaks, this is the consolation and the superabundant goodness of God, that man (if he has this faith) may boast of such treasure as that Mary is his real mother, Christ his brother, and God his father" (LW 52:15). "But see to it that you make his birth your own, and that you make an exchange with him, so that you rid yourself of your birth and receive, instead, his. This happens, if you have this faith. By this token you sit assuredly in the Virgin Mary’s lap and are her dear child. This faith you have to practice and to pray for as long as you live; you can never strengthen it enough. That is our foundation and our inheritance; on it the good works are to be built" (LW 52:16). Luther's emphasis is on the connection of the believer to Christ, not on Mary's spiritual maternity. Under the papacy only the mother has been praised and extolled. True it is, she is worthy of praise and can never be praised and extolled enough. For this honor is so great and wonderful, to be chosen before all women on earth to become the mother of this child. Nevertheless, We should not praise and extol the mother in such a way as to allow this child who has been born unto us to be removed from before our eyes and hearts and to think less highly of him than of the mother. If one praises the mother, the praise ought to be like the wide ocean. If either one is to be forgotten, it is better to forget the mother rather than the child. Under the papacy, however, the child has all but been forgotten, and attention riveted only on the mother. But the mother has not been born for our sakes; she does not save us from sin and death. She has, indeed, begotten the Savior! for this reason we are to wean ourselves away from the mother and bind ourselves firmly to this child alone! We see above that Church POP's "6 Beautiful Quotes" are simply a sloppy, poorly documented, poorly researched, sometimes out-of-context, cut-and-paste. This is typical of Rome's apologists when it comes to Luther's theology of Mary. One of my favorite examples of Rome's use of Luther is those who claim Luther praised Mary and said she should be honored in his very last sermon at Wittenberg. The context though says the exact opposite! Luther mocks those who would call upon Mary or venerate her. Luther insists that those who seek Christ through Mary do so by the use of “reason,” and “reason is by nature a harmful whore. How does one make sense of Luther's positive and negative comments about Mary and Marian devotion? 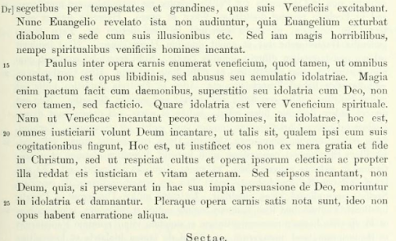 Some of Rome's defenders harmonize Luther's confusing view by arguing he wasn't against Marian devotion and veneration, he was against the excesses and abuses of Marian devotion and veneration. Yes, there were serious problems with Marian theology in the 16th Century, and these problems helped fuel the Reformation. Luther certainly was reacting to the popular and accepted Marian piety of his day. But, one cannot appeal to the latest version of "proper" Roman Catholic Marian piety (whatever that is) and apply it as the doctrinal standard to a situation which existed hundreds of years ago. I've argued elsewhere that the entire 16th century Roman church had a generally accepted Marian piety which included both laymen and the theologically educated. When Luther spoke against Marian devotion and veneration, he was speaking against the typical and accepted Marian piety of his day. Rome distinguishes between kinds of worship. Mary can receive the highest form of worship/veneration, hyperdulia, short of the worship of God. This type of worship is expressed in prayers, songs, ceremonies and pilgrimages. Luther though abandoned the distinction between latria, dulia, and hyper-dulia. When commenting on Deuteronomy 6:13, Luther referred to those who created the distinction as "sophists" (LW 9:71), calling the distinction useless. If you search out Luther's use of the word “veneration,” you will find an entirely negative meaning applied to the term. In Roman Catholicism, veneration is symbiotically linked to mediation. In Luther's theology, having any other mediator besides Christ is idolatry. The crucial questions that need to be asked are: what exactly is Marian devotion and veneration? What does it mean for a Roman Catholic to be devoted to or venerate Mary, and what does it mean for Luther to be devoted to or venerate Mary? Saying nice things about Mary is not "devotion." It is not praying to Mary and asking for her intercession. What does it mean for Luther to "venerate" Mary? Saying nice things about Mary is not "veneration" in the Roman Catholic sense. Did Luther bow before image of Mary? Did Luther go on pilgrimages in the name of Mary? One should challenge Rome's apologists to define their terms. They should to be able to tell you what Marian devotion is. They cannot be allowed to equivocate: Luther (or whomever) saying nice things about Mary does not equal Rome's version of devotion and veneration. I do not deny that Luther spoke favorably about Mary, but when Roman Catholics say "honor" or “devotion,” they mean something quite different than Luther. In fairness to Rome, Protestants have often swung to the opposite extreme, barely considering the special role of Mary in God's redemptive purpose. Whatever you do, don't say anything too positive about Mary, or you'll be looked at with a suspicious eye! Perhaps this to avoid the appearance of Roman Catholicism. Perhaps. Perhaps its because there is not a great deal of information about Mary in the Scriptures. For what it's worth: I think it is quite appropriate to speak favorably about the heroes of the faith, be they Mary, Paul, Peter, Noah, Moses, etc. Protestants, generally speaking, don't have any problem every October honoring the memory of Martin Luther. How much more appropriate then, to remember and honor the memory of the person who gave birth to the savior of the world? Luther: "Pure devilry is urging on the peasants…Therefore let all who are able, mow them down, slaughter and stab them..."
The founder of your religion would not tolerate people disagreeing with him.........don’t you Lutherans long for the good old days ? The authorities must resolve to chastise and slay as long as they can raise a finger…It may be that those who are killed on the side of the authorities is really a martyr in God’s cause. A happier death no man could die. The present time is so strange that a prince can gain Heaven easier by spilling blood than by praying (Luther M. Against the Murderous and Rapacious Hordes of the Peasants, May 4, 1525-Erl, 24, 287, ff. As cited in O’Hare PF. The Facts About Luther, p. 232). 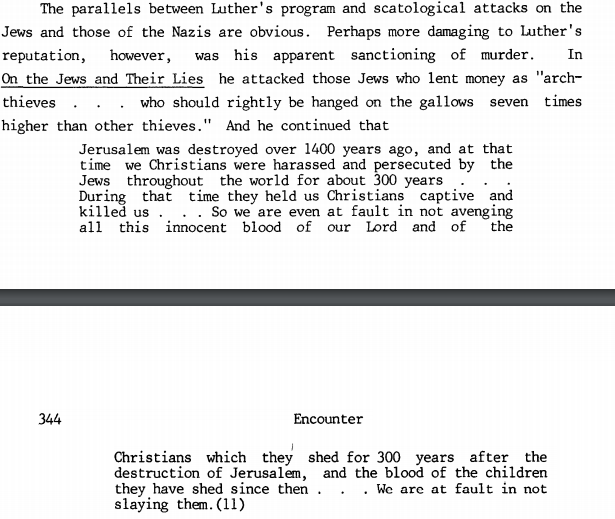 This concoction of quotes blames Martin Luther for killing the peasants during their revolt. The detractor takes it one step further by sniping, "...don't you Lutherans long for the good old days?" as if, modern-day Lutherans long for the medieval mentality of suppressing civil disobedience and rebellion with severe force. Let's take a look at these quotes and the historical situation that surrounds them. We'll see that these quotes we're culled together from a much larger context, a context that was ignored, as was the historical events that provoked them. Two quotes are provided, both are said to come from "Erl, 24, 287, ff, As cited in O’Hare PF. The Facts About Luther, p. 232." "O'Hare PF" refers to Father Patrick O'Hare, author of the book, The Facts About Luther. Father O'Hare belongs to the Roman Catholic tradition of destructive criticism of the Protestant Reformation. I doubt the person who posted the quotes actually utilized O'Hare's book. A simple Google search reveals a few web-pages use the same exact quotes and documentation. I suspect the web-page which originally mined these quotes (with this documentation) was either this one or this one. At this juncture he wrote a terrible tract entitled, "Against the Murderous and Rapacious Hordes of the Peasants" (Erl. 24, 287, ff.) to urge the civil authorities to crush the revolution. This tract was issued about May 4, 1525. In a copy preserved at the British Museum, London, we find these heartless words: "Pure deviltry is urging on the peasants; they rob and rage and behave like mad dogs." "Therefore let all who are able, mow them down, slaughter and stab them, openly or in secret, and remember that there is nothing more poisonous, noxious and utterly devilish than a rebel. You must kill him as you would a mad dog; if you do not fall upon him, he will fall upon you and the whole land." 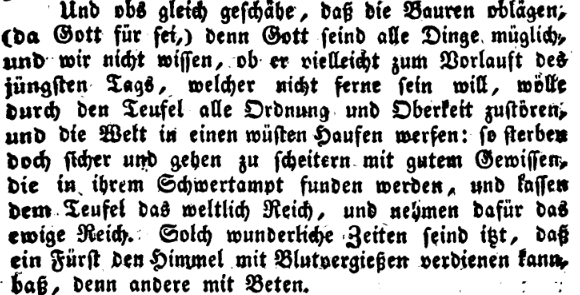 In this tract Luther claims that the peasants are not fighting for his new teaching, nor serving the evangel. "They," he says, "serve the devil under the appearance of the evangel ... I believe that the devil feels the approach of the Last Day and therefore has recourse to such unheard of trickery . . . Behold what a powerful prince the devil is, how he holds the world in his hands, and can knead it as he pleases." "I think there is not a single devil now left in Hell, but they have all gone into the peasants, The raging is exceedingly great and beyond all measure." He therefore calls upon the princes to exert their authority with all their might. "Whatever peasants," he says, "are killed in the fray, are lost body and soul and are the devil's own for all eternity. The authorities must resolve to chastise and slay so long as they can raise a finger: Thou, O God, must judge and act. It may be that whoever is killed on the side of the authorities is really a martyr in God's cause. A happier death no man could die. The present time is so strange that a prince can gain Heaven by spilling blood easier than another person can by praying." Father O'Hare cites "Erl. 24, 287, ff." This refers to volume 24 of Dr. Martin Luther's Sämmtliche werke. Page 287 can be found here. The "ff" refers to the beginning of the treatise (Against the Murderous and Rapacious Hordes of the Peasants, May 4, 1525), not the exact location of the quotes. The reason why O'Hare used this vague reference is that he may have unintentionally plagiarized a long section from the English translation of Hartmann Grisar's Luther biography, almost word for word, yet leaving out Grisar's extensive documentation. For more on O'Hare's use of Grisar, see Addendum #1 below. The next sentence is interesting: "The authorities must resolve to chastise and slay as long as they can raise a finger." O'Hare cites it as a direct statement from Luther. However, he appears to have made an error in using Grisar. 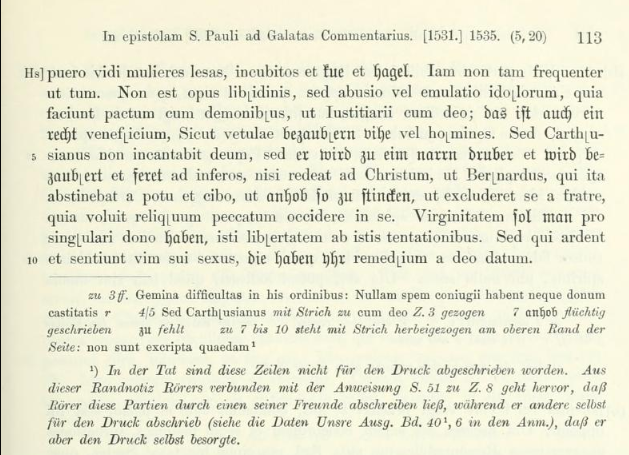 Grisar says, "The authorities must resolve to 'chastise and slay' so long as they can raise a finger..." The only actual words Grisar cites from Luther here are "chastise and slay." 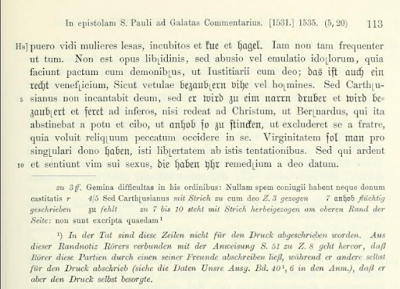 Grisar appears to have based this on page 291, probably providing a summary statement of his interpretation of Luther's words. In this section Luther is referring to secular rulers who have a duty to maintain civil order and punish rebels. It appears to me Grisar may be citing "Therefore I will punish and smite as long as my heart beats. You will be the judge and make things right” (LW 46:53), because the very next section is in regard to martyrdom. This German text all of this comes from is entitled, Wider die räuberischen und mörderischen Rotten der Bauern (1525). It can also be found in WA 18:344-361. It has been translated into English, entitled, Against the Robbing and Murdering Hordes of Peasants. It can be found in the Philadelphia Edition Volume 4, and also in LW 46:43-55. Below is the entire translation from the Philadelphia edition, pp. 245-254. In the former book I did not venture to judge the peasants, since they had offered to be set right and to be instructed, and Christ’s commands, in Matthew 7:1, says that we are not to judge. But before I look around they go on, and, forgetting their offer, they betake themselves to violence, and rob and rage and act like mad dogs. By this it is easy to see what they had in their false minds, and that the pretenses which they made in their twelve articles, under the name of the Gospel, were nothing but lies. It is the devil’s work that they are at, and in particular it is the work of the archdevil who rules at Muhlhausen, and does nothing else than stir up robbery, murder, and bloodshed; as Christ says of him in John 8:44, “He was a murderer from the beginning.” Since, then, these peasants and wretched folk have let themselves be led astray, and do otherwise than they have promised, I too must write of them otherwise than I have written, and begin by setting their sin before them, as God commands Isaiah and Ezekiel, on the chance that some of them may learn to know themselves. Then I must instruct the rulers how they are to conduct themselves in these circumstances. The peasants have taken on themselves the burden of three terrible sins against God and man, by which they have abundantly merited death in body and soul. In the first place they have sworn to be true and faithful, submissive and obedient, to their rulers, as Christ commands, when He says, “Render unto Caesar the things that are Caesar’s,” and in Romans 13:2, “Let everyone be subject unto the higher powers.” Because they are breaking this obedience, and are setting themselves against the higher powers, willfully and with violence, they have forfeited body and soul, as faithless, perjured, lying, disobedient knaves and scoundrels are wont to do. St. Paul passed this judgment on them in Romans 13, when he said, that they who resist the power will bring a judgment upon themselves. This saying will smite the peasants sooner or later, for it is God’s will that faith be kept and duty done. In the second place, they are starting a rebellion, and violently robbing and plundering monasteries and castles which are not theirs, by which they have a second time deserved death in body and soul, if only as highwaymen and murderers. Besides, any man against whom it can be proved that he is a maker of sedition is outside the law of God and Empire, so that the first who can slay him is doing right and well. For if a man is an open rebel every man is his judge and executioner, just as when a fire starts, the first to put it out is the best man. For rebellion is not simple murder, but is like a great fire, which attacks and lays waste a whole land. Thus rebellion brings with it a land full of murder and bloodshed, makes widows and orphans, and turns everything upside down, like the greatest disaster. Therefore let everyone who can, smite, slay, and stab, secretly or openly, remembering that nothing can be more poisonous, hurtful, or devilish than a rebel. It is just as when one must kill a mad dog; if you do not strike him, he will strike you, and a whole land with you. In the third place, they cloak this terrible and horrible sin with the Gospel, call themselves “Christian brethren,” receive oaths and homage, and compel people to hold with them to these abominations. Thus they become the greatest of all blasphemers of God and slanderers of His holy Name, serving the devil, under the outward appearance of the Gospel, thus earning death in body and soul ten times over. I have never heard of more hideous sin. I suspect that the devil feels the Last Day coming and therefore undertakes such an unheard-of act, as though saying to himself, “This is the last, therefore it shall be the worst; I will stir up the dregs and knock out the bottom.” God will guard us against him! See what a mighty prince the devil is, how he has the world in his hands and can throw everything into confusion, when he can so quickly catch so many thousands of peasants, deceive them, blind them, harden them, and throw them into revolt, and do with them whatever his raging fury undertakes. It does not help the peasants, when they pretend that, according to Genesis 1 and 2, all things were created free and common, and that all of us alike have been baptized. For under the New Testament Moses does not count; for there stands our Master, Christ, and subjects us, with our bodies and our property, to the emperor and the law of this world, when He says, “Render to Caesar the things that are Caesar’s.” Paul, too, says, in Romans 13:1, to all baptized Christians, “Let every man be subject to the power,” and Peter says, “Be subject to every ordinance of man.” By this doctrine of Christ we are bound to live, as the Father commands from heaven, saying, “This is My beloved Son; hear him.” For baptism does not make men free in body and property, but in soul; and the Gospel does not make goods common, except in the case of those who do of their own free will what the apostles and disciples did in Acts 4:32. They did not demand, as do our insane peasants in their raging, that the goods of others, — of a Pilate and a Herod, — should be common, but only their own goods. Our peasants, however, would have other men’s goods common, and keep their own goods for themselves. Fine Christians these! I think there is not a devil left in hell; they have all gone into the peasants. Their raving has gone beyond all measure. Since the peasants, then, have brought both God and man down upon them and are already so many times guilty of death in body and soul, since they submit to no court and wait for no verdict, but only rage on, I must instruct the worldly governors how they are to act in the matter with a clear conscience. But if the ruler is a Christian and tolerates the Gospel, so that the peasants have no appearance of a case against him, he should proceed with fear. First he must take the matter to God, confessing that we have deserved these things, and remembering that God may, perhaps, have thus aroused the devil as a punishment upon all Germany. Then he should humbly pray for help against the devil, for “we are battling not only against flesh and blood, but against spiritual wickedness in the air,” and this must be attacked with prayer. Then, when our hearts are so turned to God that we are ready to let His divine will be done, whether He will or will not have us to be princes and lords, we must go beyond our duty, and offer the mad peasants an opportunity to come to terms, even though they are not worthy of it. Finally, if that does not help, then swiftly grasp the sword. For a prince and lord must remember in this case that he is God’s minister and the servant of His wrath ( Romans 13:4), to whom the sword is committeed for use upon such fellows, and that he sins as greatly against God, if he does not punish and protect and does not fulfill the duties of his office, as does one to whom the sword has not been committed when he commits a murder. If he can punish and does not — even though the punishment consist in the taking of life and the shedding of blood — then he is guilty of all the murder and all the evil which these fellows commit, because, by willful neglect of the divine command, he permits them to practice their wickedness, though he can prevent it, and is in duty bound to do so. Here, then, there is no time for sleeping; no place for patience or mercy. It is the time of the sword, not the day of grace. The rulers, then, should go on unconcerned, and with a good conscience lay about them as long as their hearts still beat. It is to their advantage that the peasants have a bad conscience and an unjust cause, and that any peasant who is killed is lost in body and soul and is eternally the devil’s. Thus it may be that one who is killed fighting on the ruler’s side may be a true martyr in the eyes of God, if he fights with such a conscience as I have just described, for he is in God’s Word and is obedient to Him. On the other hand, one who perishes on the peasants’ side is an eternal brand of hell, for he bears the sword against God’s Word and is disobedient to Him, and is a member of the devil. And even though it happen that the peasants gain the upper hand (which God forbid!) — for to God all things are possible, and we do not know whether it may be His will, through the devil, to destroy all order and rule and cast the world upon a desolate heap, as a prelude to the Last Day, which cannot be far off — nevertheless, they may die without worry and go to the scaffold with a good conscience, who are found exercising their office of the sword. They may leave to the devil the kingdom of the world, and take in exchange the everlasting kingdom. Strange times, these, when a prince can win heaven with bloodshed, better than other men with prayer! Finally, there is another thing that ought to move the rulers. The peasants are not content to be themselves the devil’s own, but they force and compel many good people against their wills to join their devilish league, and so make them partakers of all of their own wickedness and damnation. For anyone who consents to what they do, goes to the devil with them, and is guilty of all the evil deeds that they commit; though he has to do this because he is so weak in faith that he does not resist them. A pious Christian ought to suffer a hundred deaths, rather than give a hair’s breadth of consent to the peasants’ cause. O how many martyrs could now be made by the bloodthirsty peasants and the murdering prophets! Now the rulers ought to have mercy on these prisoners of the peasants, and if they had no other reason to use the sword, with a good conscience, against the peasants, and to risk their own lives and property in fighting them, there would be reason enough, and more than enough, in this — that thus they would be rescuing and helping these souls, whom the peasants have forced into their devilish league and who, without willing it, are sinning so horribly, and who must be damned. For truly these souls are in purgatory; nay, in the bonds of hell and the devil. Therefore, dear lords, here is a place where you can release, rescue, help. Have mercy on these poor people! Stab, smite, slay, whoever can. If you die in doing it, well for you! A more blessed death can never be yours, for you die in obeying the divine Word and commandment in Romans 13, and in loving service of your neighbor, whom you are rescuing from the bonds of hell and of the devil. And so I beg everyone who can to flee from the peasants as from the devil himself; those who do not flee, I pray that God will enlighten and convert. As for those who are not to be converted, God grant that they may have neither fortune nor success. To this let every pious Christian say Amen! For this prayer is right and good, and pleases God; this I know. If anyone think this too hard, let him remember that rebellion is intolerable and that the destruction of the world is to be expected every hour. The above analysis reveals the two quotes were culled from the entire treatise, spanning all seven pages of Erl. 24. Some of the words quoted by O'Hare were not even Luther's, but rather those of Hartmann Grisar ("The authorities must resolve to... so long as they can raise a finger..."). The last sentence cited by O'Hare ("The present time is so strange that a prince can gain Heaven easier by spilling blood than by praying") actually occurs in the text previous to the one cited before it ( "A happier death no man could die"). This charge of plagiarism is not tangential. O'Hare's book is pure propaganda. I could provide a number of instances in which this source mis-cites and misquotes Luther. O'Hare bludgeons history, presenting a ridiculous caricature of Luther and the Reformation. Along then comes someone using this tainted source, sifting out a few sentences, then placarding them as direct quotes on a web-page. completely unaware of the nefarious construction of the material, and further perpetuating poor history. In regard to the historical events surrounding this quote: Luther's harsh advise in this treatise came out after the rebellion had begun. "Against The Robbing And Murdering Mobs of Peasants" was delayed in printing. The princes were already in progress of using their force to kill the peasants to suppress their revolt. Luther's intent was to have this book published in one volume along with the earlier treatise, the Admonition To Peace. This earlier treatise considered the plight of the peasants, and exhorted the princes to consider the unstable state of affairs their rule helped create. The Admonition was directed towards good peasants, while the newer treatise was directed toward the bad peasants. In Against the Robbing and Murdering Mobs of Peasants, Luther states: "...any man against whom it can be proved that he is a maker of sedition is outside the law of God and Empire, so that the first who can slay him is doing right and well" or as LW 46:50 states similarly, "...anyone who can be proved to be a seditious person is an outlaw before God and the emperor..." Luther's intent therefore, was not simply to have the authorities suppress all the peasants, but rather, those that were breaking the law. Richard Marius stated in his book Martin Luther: The Christian Between God and Death, "The nobles did not require Luther to urge them to massacre; they were entirely capable of inspiring themselves to the bloody business that they pursued for several months" (p.432). Marius goes on to state, "Luther was not responsible for these atrocities. Yet to many people, the timing of his diatribe against the peasants made him seem a cause of the slaughter that followed." (p.432). Marius also points out that in Luther's follow-up defense of his harsh book, he condemned the killing of both the guilty and innocent together after the princes were already victorious. 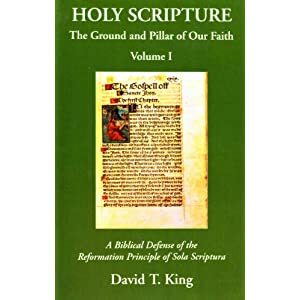 "Luther raged against the tyranny of the nobles in books and pamphlets over the next year or so and blamed their merciless conduct for continued peasant unrest" (p.433). That Luther's Admonition To Peace is rarely brought up by cyber-criticizers of Luther is a good indication of bias. That is, why don't rulers get blamed for not following Luther's points in this earlier treatise? If Luther's words had the power of life and death over the peasants, why was the Admonition To Peace so ineffective in controlling those rulers who are said to be so motivated by Luther words? Obviously, Luther's words were not as crucial and important to the rulers as some make them out to be. If one wants to chastise Luther, it would be for the harshness of his words against the peasants. Yes, I'm sure certain rulers found it comforting that Luther agreed with their cause to suppress the peasants (like Philip of Hesse). On the other hand, one must seriously ask what would've happened to the peasants had not Luther wrote against them? My gut feeling is they would've been slaughtered all the same. So, if they were to be killed anyway, what then was the actual force of Luther's harsh book? Some argue, guilt by association. Luther agreed the peasants should be suppressed, and they were, so Luther was part of the problem, rather than the solution. It's a bit naive though to think somehow a person living in a peaceful country, hundreds of years later, can actually determine the guilt of Luther's writings in the entire peasants revolt. I would love to have the ability to stick these people back in 1524-1525, to see what they would think of the peasants while the peasants ransacked their house, or killed their family members, and threatened the stability of the land. I would posit the same people criticizing Luther now, would be the first to buy his book Against the Robbing and Murdering Mobs of Peasants, and ask Luther to autograph it. It is indeed ironic that we can be extremely critical of a situation we have never faced, but then, thrust into such a situation, we learn what it is to actually be in that situation. While checking O'Hare's book it was blatantly obvious he heavily utilized a large section of text from volume 2 of the English edition of Hartmann Grisar's massive biography of Luther. O'Hare mentions and directly cites Grisar on the top of page 236 and also mentions his use of Grisar on page 238. 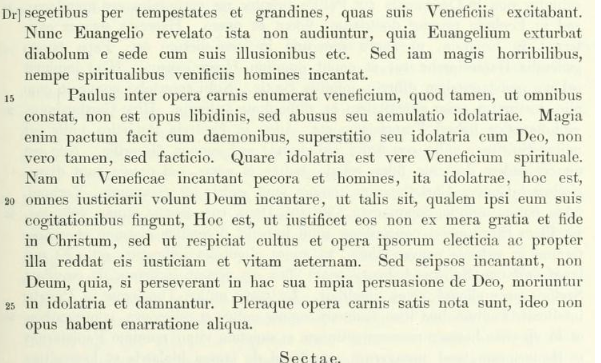 He begins his extensive use of Grisar at the bottom of the page beginning with the words, "Pure deviltry..." (Grisar though, used the word, "devilry"). Simply compare O'Hare page 236 and following with Grisar, the bottom of page 201 and following. At one point, O'Hare attempted to change a few words of Grisar's. For instance, Grisar says on page 202, "He therefore invites the authorities to intervene with all their strength." O'Hare changes this to, "He therefore calls upon the princes to exert their authority with all their might" (p.237). The discussion on CARM that provoked this entry was deleted by the moderators. The person who began the discussion was suspended and banned for bad behavior.